I hope this post makes it out into the universe. Hurricane Michael roared into town about 30 minutes ago may I say, my goodness! Michael isn't even a hurricane anymore, but... good grief! There were no bands of warning rain. Michael simply arrived and it began to rain RAIN. Rain and thunder and the trees are bending over from the wind. And I'm seriously hoping that noise is the neighbors who work on their (race??) cars 22/7 and not a tornado's freight train roar. I was too impatient to photograph the yarn while it was in it's original skein form. It's another fiber festival yarn purchase. 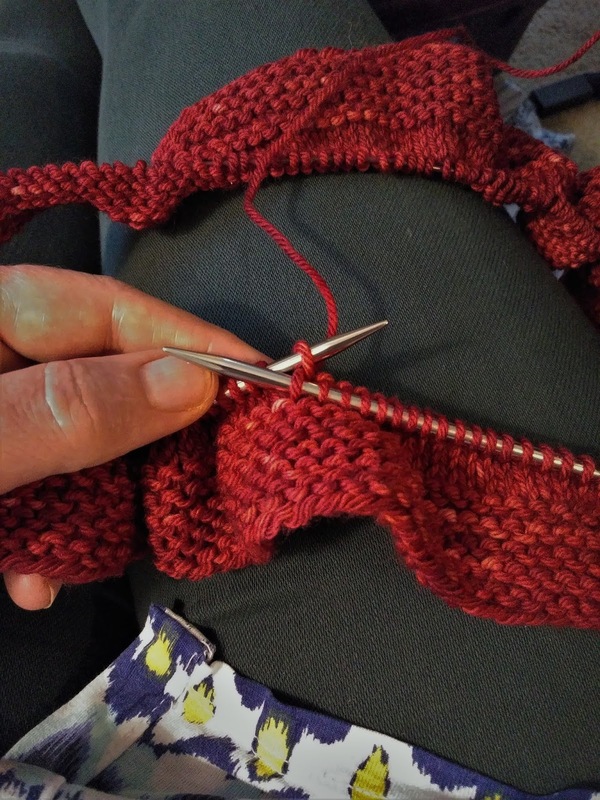 The yarn comes from Unplanned Peacock Studio and is an absolute delight to knit with. Thanks to Karen's suggestion over at Pumpkin Sunrise, I'm knitting a Purl Ridge Scarf. The pattern is a very simple, free one from Stephen West. I'm so happy to be knitting such a simple pattern on such lovely yarn, specially tonight. (I'm typing this Thurs. night.) At this rate, I don't expect the power to stay on for long. Heck, I don't know how it's stayed on this long. Anyway, this cowl pattern will be The perfect project for knitting in the dark while we wait out Michael's departure. And while we're talking about Michael, my thoughts and prayers go out to those in Florida. And the Carolina's for that matter. They certainly did not need any more rain! I can not imagine what this storm must have felt like in Florida if it's this strong in Virginia. And I imagine a lot of folks rode the storm out in Florida because there wasn't much advance notice of this one. Anyway, my thoughts and prayers are with those down south. Hope you are safe and WITH power! We got a little rain in Eastern PA, but not a ton. The winds are here now and it is much, much cooler (finally) - feeling like Fall. 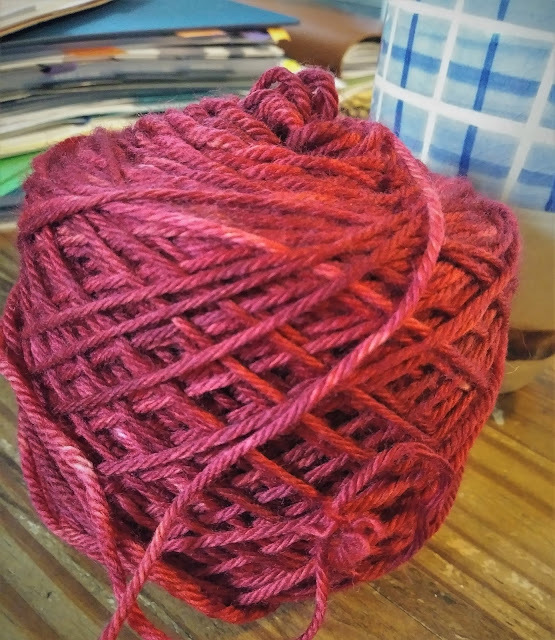 That is gorgeous yarn! I'm hoping Michael blew on through and now things are getting back to normal! love that pattern (I have knit a lot of them in the last few weeks and sort of over did it!) and I do love that indie yarn dyer. I've knit with it before and it's lovely.